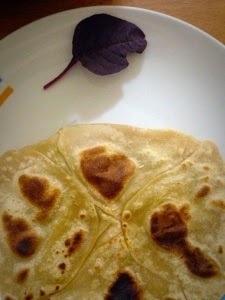 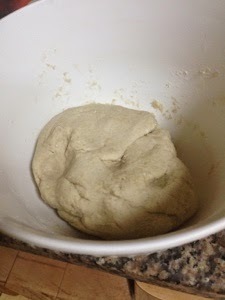 Note:- You could make also it fully out of whole wheat flour. 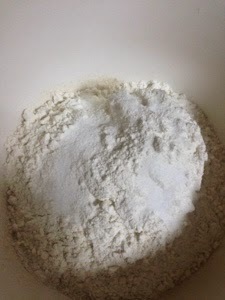 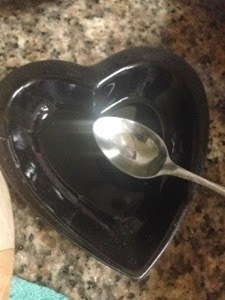 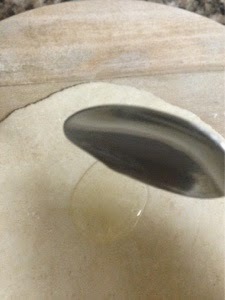 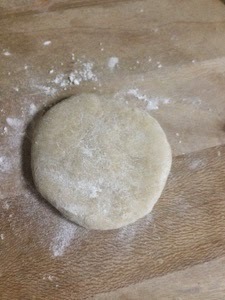 Add salt and lukewarm water to the flour to make a soft dough. 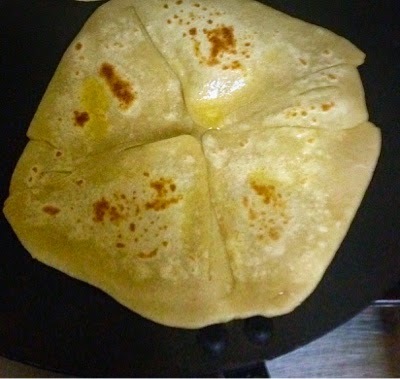 Divide into balls bigger than chapathi balls. 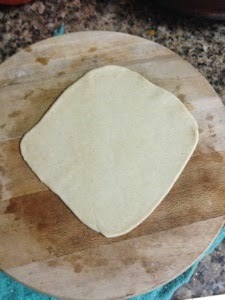 Roll it out thick and smear oil over it. 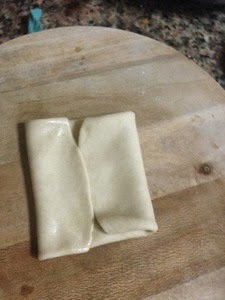 Fold as shown in the pictures. 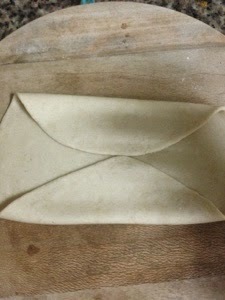 Fold inside from for corners. 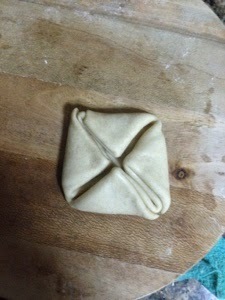 Roll again into a 4-5" square. 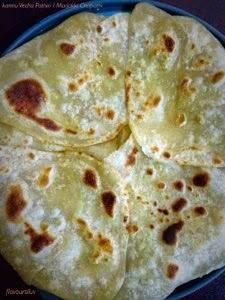 Heat a griddle or non stick tawa and cook each side for a minute, spread little ghee and flip over to let the roti puffed up.